A Unilateral war waged on Ogaden Somali won’t bring Peace and Security for Ogadenia and wider Ethiopia. It came to our attention that, on early hours of August 04, 2018 the Ethiopian federal government has sent its military forces that suddenly attacked and took over Ogaden Somali regional capital, Jijiiga. Subsequently, our member, the ONLF in its 04 August 2018 statement has recorded its serious concern about the motives and contradictory actions of federal government, the life and material costs this may involve if it is not immediately halted. 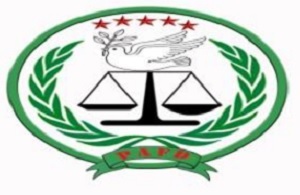 We recognize that the Somali regional president who has been mentored by and shaped in the image of TPLF has been trained to wreak havoc in the region is required to be brought to justice for the crimes against humanity with his superiors and collaborators. Besides, the EPRDF’s government under the leadership of the new PM would have employed another means instead of waging full-scale war in the region whose people were increasingly traumatized due to protracted government orchestrated war of the last 27 years. 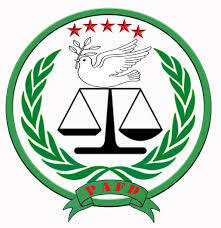 We, in the PAFD are extremely alarmed and shocked with such unsettling incidents that totally contradict with the repeated promises of the new PM, Dr Abiy Ahmed whose promises given a glimmer of hope for the nations and peoples in Ethiopia after 27 years of EPRDF/TPLF’s orchestrated state terrorism; that has been heroically acknowledged by the new PM during his first parliamentary encounter of June 18, 2018. Neither the Ogaden Somali people, nor the rest peoples of Ethiopia want to see such war against civilians repeating itself in Ethiopia any more. We believe that, violence is violence in all its forms and shapes whether it is carried out by former EPRDF leaders or under Dr Abiy Ahmed’s premiership. 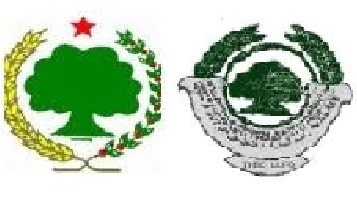 Therefore, we urge the EPRDF’s government to unconditionally halt the attack and involve all Stakeholders including the ONLF in Ogaden Somali Affairs and wider Ethiopia to avoid the replication of the same mistakes his predecessors have meticulously planned, implemented and monitored for the last 27 years as they committed genocide after genocide in Ogaden Somali region. More than anywhere else in Ethiopia, the Ogaden Somali people were subjected to untold suffering under the nose of global community whose vested interests posed silence in the faces of government orchestrated death and destruction in Ogadenia, Oromia and elsewhere in the entire Ethiopia. Furthermore, we know the fact that until over 1 million Oromo people were displaced from the Ogaden Somali region under the stage management of EPRDF’s previous leaders in the past 3 years alone; the Ogaden Somali refugees were the biggest to be internally and externally displaced from the Ethiopian territory for the last 27 years. We strongly believe that, such unsettling realities are clear to the new PM and his government. Therefore, the current unilateral action of waging war on continually wounded Ogaden Somali community will not only be morally repugnant, intellectually inadmissible and politically incorrect needing urgent rectification; but also contradictory with his pledges to make war and genocide in Ethiopia a history. The EPRDF has indisputably employed proprietary style governance via their generals and handpicked Ogaden Somali cadres who have served the predecessors as their mouthpiece and resources expropriating channels in Ogadenia. The new PM has repeatedly reiterated such rules are obdurate whose objectives neither meet the pressing demands of all peoples in Ethiopia for a fundamental political change nor satisfies his own democratic aspiration for all peoples in Ethiopia. Moreover, we in the PAFD and the rest peoples of Ethiopia have eagerly watched as the new PM promised that war is an old fashion that needs to be discouraged whilst moving towards more inclusive, accommodating and democratic political systems in Ethiopia. As contradictory actions began unfolding in a highly traumatized region, the PAFD is extremely alarmed. When the promises are short lived unilateral action of the federal government proved to be contradictory needing an urgent halt. 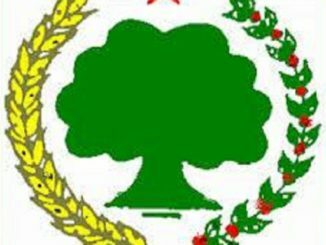 Finally, we urge the EPRDF’s government to seriously consider the theme of ONLF’s 04 August 2018 press statement that calls for a peaceful negotiation which we as PAFD fully endorse. 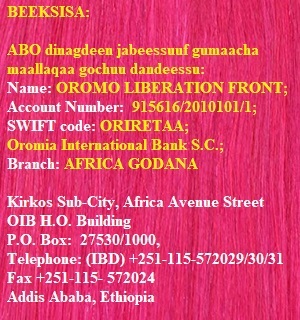 We further call up on all peoples in Ethiopia who are aspiring for a lasting peace and security to call the Ethiopian new PM to remain consistent with his pledges by unconditionally stopping war in Ogaden Somali region, Oromia region and other places in Ethiopia. 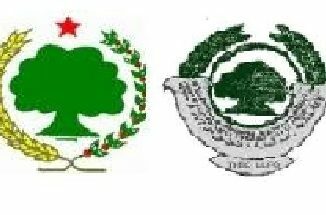 During the period when al-most all opposition groups are positively responding to the genuine calls of the new PM for all-inclusive political dialogue in Ethiopia, observing inconsistence with his action needs to be seriously considered. We reiterate that, this time needs to be a time of respite for Ogaden Somali and the rest peoples of Ethiopia, thus PM Dr Abiy Ahmed’s government must respect his promises and defend their rights of all peoples in Ethiopia as per his repeated pledges.